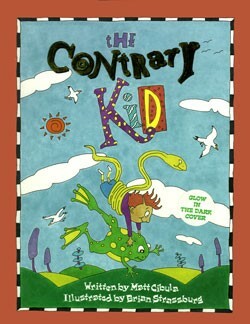 You're saying you don't know about The Contrary Kid? You're saying you're not familiar with the "off-beat and unusual extraordinary youth" who bathes in spinach soup and goes to school wearing a big blueberry beard? You're saying you don't know about the Zino Press book that spawned a worldwide fan club? You want to know what it's all about? 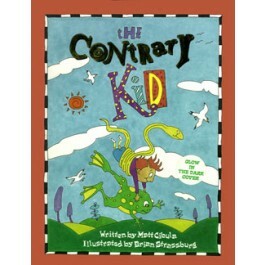 Well, we call The Contrary Kid "a rhyming, secret-coded, glow-in-the-dark book-stravaganza." But look below to see what some people (who probably know better) are saying about all this.